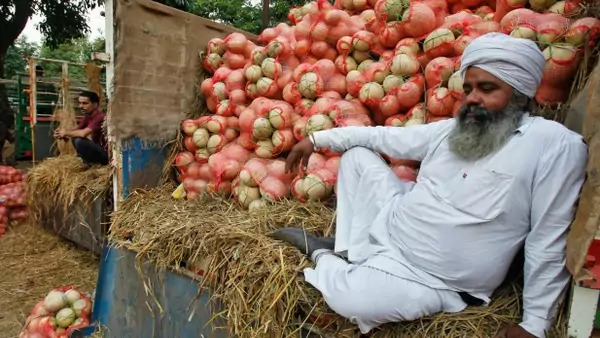 A farmer sits on a trolley loaded with melons as he waits for customers at a fruit and vegetable market in Chandigarh, India, May 2014 (Courtesy Reuters/Ajay Verma). Emerging Voices features contributions from scholars and practitioners highlighting new research, thinking, and approaches to development challenges. This article is by Cecilia Chen, Dan Zook, and Dan Tuttle of Dalberg Global Development Advisors. The global population is expected to grow from about seven billion today to over nine billion by 2050. Producing enough food for this population will require a 70 percent increase in agricultural production and $83 billion per year of investments in developing country agriculture. Yet, one third of the food produced globally—about 1.3 billion tons of food per year—is never consumed at all. This food is wasted or lost at some step of the supply chain between when it leaves a farm and when a consumer would typically eat it. The solution to feeding a growing population is not simply to produce more food, but also to save, preserve, or recycle the food already produced. Cutting current food wastage in half, for example, would yield enough food to feed one billion people—half of the additional population expected by 2050. The issue of food that is never consumed breaks into two discrete problems: “food loss,” which primarily affects developing countries, and “food waste,” which primarily affects developed countries. Food loss, which accounts for 90 percent of unconsumed food in developing countries, refers to the decrease in edible food mass during production, postharvest processing, and distribution. The primary drivers of food loss are a lack of skills training for actors within the supply chain in handling, packaging, and storing food; insufficient on-farm storage technologies or postharvest storage facilities; and farmers’ poor market access, which leads to spoilage before products can be sold. Food waste, on the other hand, refers to food that is fit for human consumption but is discarded by retailers or consumers. In developed countries, high aesthetic standards, stringent food company contracts, large portion sizes, and promotion-driven sales often lead to the overproduction of food, much of which is discarded. Food discarded by the consumer—the last actor in the supply chain—wastes the resources used in every previous step in the chain. Unconsumed food also has effects beyond food security, ranging from the economic—one year’s unconsumed food is worth roughly $750 billion—to the environmental—unconsumed food is responsible for 3.3 billion tons in CO2 emissions per year. Food lost early in the supply chain is particularly devastating for the world’s 470 million smallholder farmers, most of whom live beneath the poverty line. Many of these food producers are also among the 1.2 billion people who are food insecure. As a result of such on-farm losses, farmers are not be able to convert as much of their produce into income. A recent Dalberg analysis estimates that every year 320 million metric tons of food—17 percent of food produced globally—is lost during production and postharvest alone. From an ecological perspective, food wastage means that valuable natural resources are used to produce food that is ultimately not consumed. Globally, farmers use an amount of land equivalent to all of Africa’s cropland to produce food that is never consumed. Though this food is not used, the environment still pays a price: the production of wasted foods accounts for 10 percent of global greenhouse gasses and depletes a quarter of global freshwater. Market-based models for low-cost, farm-based storage, preservation, and processing technologies: For example, hermetically sealed bags that preserve the quality of grains, vegetables, and seeds allow farmers to store and sell products later in the season when prices are higher. Large commercial food companies’ expanded operations in emerging markets that bring technology, infrastructure, and management discipline: For example, in an effort to commercialize and formalize its domestic supply chains, Reliance Retail India is investing in its cold chain infrastructure to reduce transport time of fruits and vegetables, thus limiting the possibility of food spoilage in transit. Community investments in on-farm agro-processing solutions: For example, solar dryers can replace open-air drying, which is labor-intensive and leaves fruits and vegetables susceptible to weather and pests. Such dryers can be used in areas without access to electricity to produce export-grade produce. By pooling farmers’ produce, a community can improve its ability to purchase these agro-processing tools. Agricultural postharvest loss and consumer food waste have wide-ranging consequences, from smallholder farmer livelihoods, to food security and nutrition, to conservation of water and other environmental resources. Reducing loss throughout agricultural supply chains would not only address these concerns, but also tackle fears of future global food shortages and enable scarce resources to be shared more wisely. As the development community struggles to meet the nutritional demands of a growing population, policymakers should focus not on producing more and more food, but rather on reducing food waste and loss. The research that underpins this article was supported by the Rockefeller Foundation.